I checked my broadband speed using this ip-details. My broadband speed is 844kbps when downloading and 305kbps when uploading.It's really helpful for me. That failed for me. I'm nowhere near Dublin! 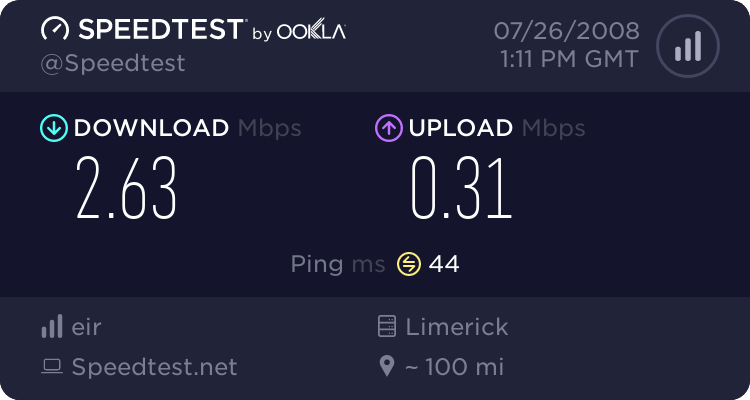 And they also use Speedtest.net for their speed check!